[i am a dekaphobic]: Manang's Summer Treats! 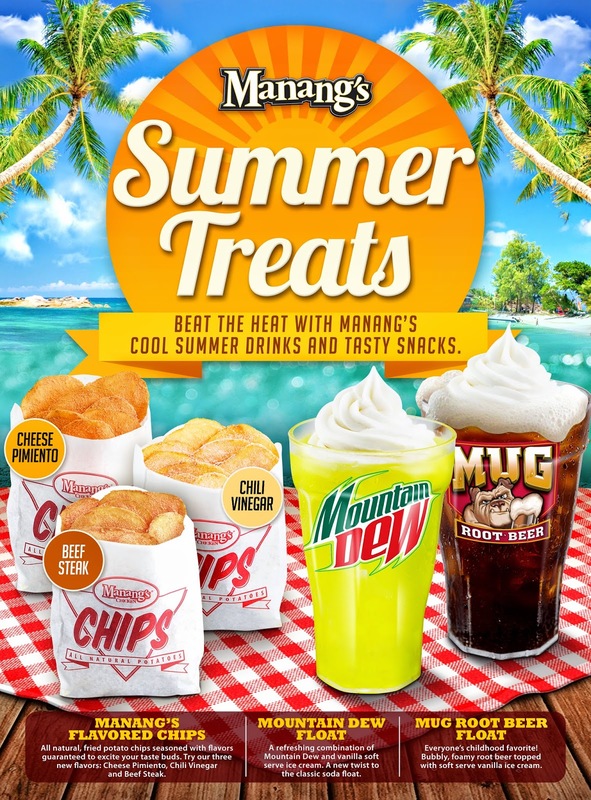 Beat the summer heat with Manang’s Chicken's cool summer drinks and tasty snacks. Try their refreshing Summer Floats which come in two new flavors. Choose from Mug Rootbeer or Mountain Dew, both topped with vanilla soft serve ice cream. It’s the perfect drink on a hot summer day. Available for only P30 or you can add P10 to upgrade your meal to a float. Manang’s Chicken will also launch new variants of their bestselling potato chips. Your favorite all-natural, fried potatoes are now seasoned with flavors guaranteed to excite your taste buds. The three new flavors are Cheese Pimiento, Beef Steak, and Chili Vinegar. Enjoy it for only P64 for the large size, P170 for small bucket and P305 for large bucket. It is also available as a combo with Rootbeer or Mountain Dew Float for P85. Manang’s Summer Treats will be available in all Manang’s Chicken branches nationwide starting April 1. Visit www.manangschicken.com for the complete list of branches.